on a trip back in time. 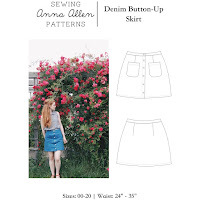 | Anna Allen Clothing Blog: on a trip back in time. I'm off again this weekend for another trip back in time! It's been awhile since I've been to our little Boonesfield Village, so I'm looking forward to it. This time the year is 1866. Have a great weekend! How wonderful! I really love living history museums. I hope to go to a little village we have here in Salem this summer. I haven't had a chance since moving here, but it looks sooo quaint! As always, you look adorable. What a lovely dress and photo! I also love your hair! a wonderful period impression! 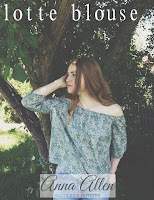 I have been reading your blog the past few days and have loved it! I also do living history with my sister and family and love past fashions! have a wonderful time at your event! I don't have another until the 4th of July! Sadly! But it will be here soon I am sure. gorgeous picture. I love your hair. Where is this place? Can you find living history places in the northwest. I love the idea of this! Ohhh, 1866! I can't wait to see the pictures! WOW. it's so refreshing to find someone who does historic reproductions so wonderfully and with such flair! !